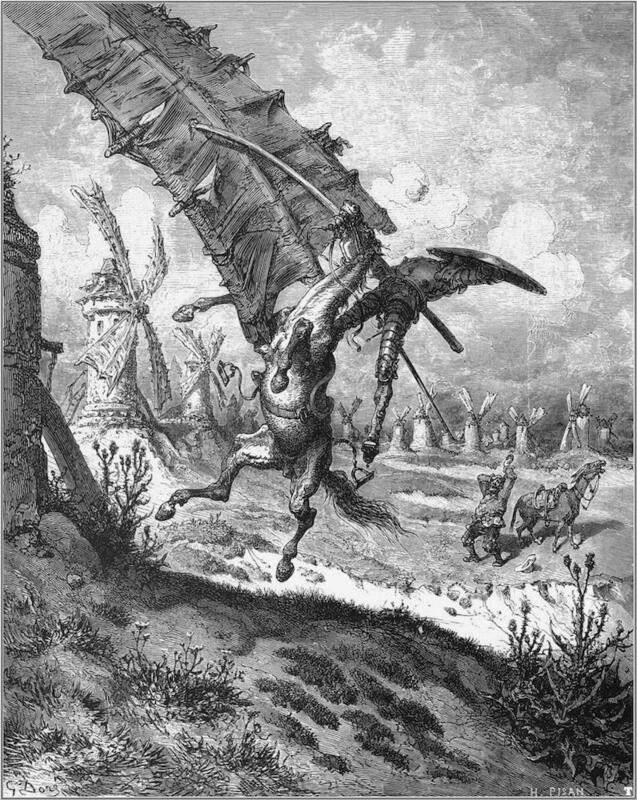 In the 1615 novel Don Quixote by Miguel de Cervantes, the titular character, who fantasizes about being a medieval knight, mistakes windmills for giants and charges at them, only to get his lance stuck in one of the sails. 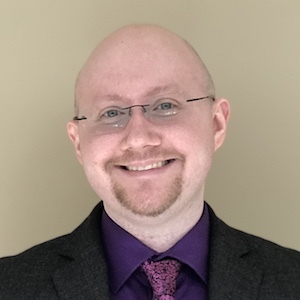 While modern wind turbine blades don’t have to withstand that kind of pointed force, it’s important to perform stress and modal analyses of blade designs to account for various — and more realistic — structural and environmental loads. Why Use Composite Materials for Wind Turbine Blades? When wind spins the propeller-like blades of a wind turbine around the rotor (which is connected to the main shaft), the rotor in turn spins a generator to create electricity. To help convert kinetic wind energy into electrical energy, wind turbine blades have to withstand wind, gravitational, and centrifugal loads. The number of blades can vary (though three is typical), depending on whether the turbine is a more traditional horizontal-axis wind turbine or a vertical-axis wind turbine. Turbine blades need to be large to be effective. The large size means that engineers must be choosy about their materials, which need to be both light and strong. These factors are critical in helping the blades remain functional throughout structural loading effects and harsh weather, including heavy winds, airborne particle erosion, and ice accumulation. While designing turbine blades with a Don Quixote attack in mind is entertaining (left), it’s more practical to design blades that can withstand a storm (right). Left: Illustration of Don Quixote by Gustave Doré in the public domain in the United States, via Wikimedia Commons. 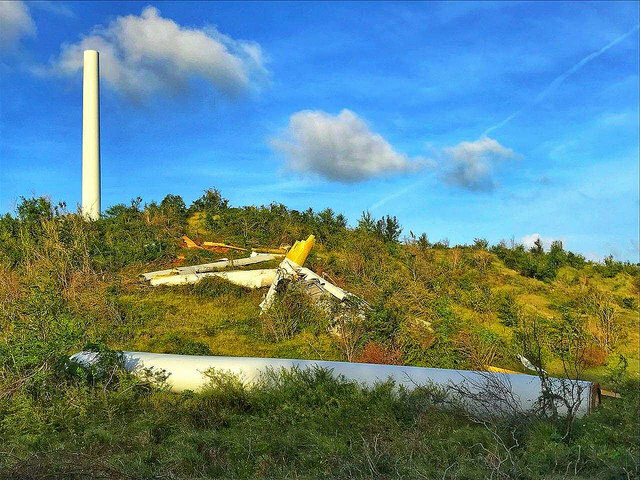 Right: Turbine blades damaged by a storm. Image by Jeff Miller and Western Area Power — Own work. Licensed under CC BY 2.0, via Flickr Creative Commons. Finding the right blade materials has proved challenging over the years. In the 1940s, engineer Palmer Cosslett Putnam worked with the company S. Morgan Smith to build a wind turbine using steel blades. However, due to the choice of metal material, the turbine was unable to operate consistently, and one of the blades failed after only a few hundred hours. Designs improved in the 1950s with the Gedser wind turbine, created by Johannes Juul in Denmark. This turbine was able to run for 11 years without maintenance because it had three composite blades made of wood, steel, and aluminum. From the 1970s onward, the standard was to construct wind turbines with composite blades. In addition, engineers found that because the individual parts of the blade have varying cyclic loading histories, different composite materials can be used for different areas of the blade to improve the efficacy of its design. In this example, a composite blade is modeled using a mixture of carbon-epoxy laminate, glass-vinylester laminate, and polyvinyl chloride (PVC) foam. 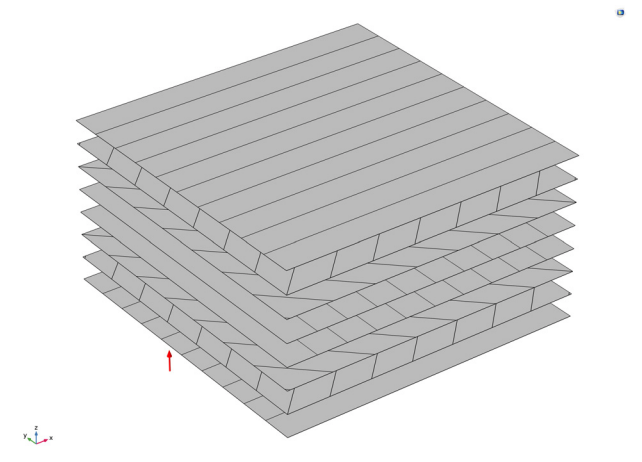 The features in the Composite Materials Module, an add-on to the Structural Mechanics Module and the COMSOL Multiphysics® software as of version 5.4, allow you to construct the different layered materials in a sandwich structure, with the PVC foam in the center. 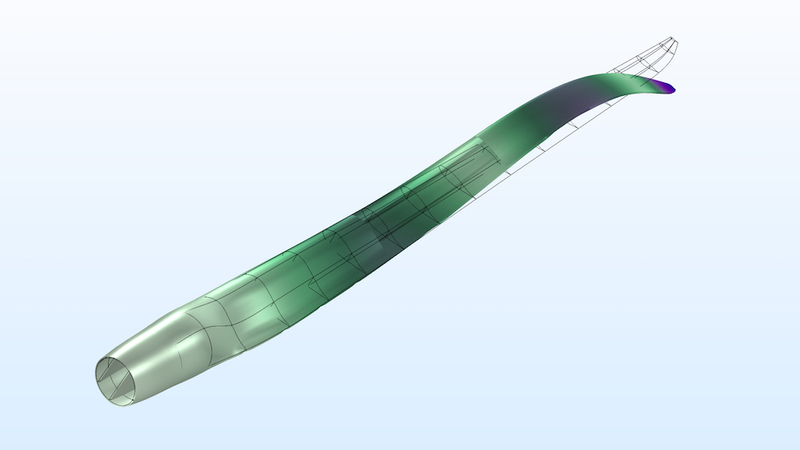 For this model, the composite blade is 61.5 m long and the geometry has 19 different sections that are defined by airfoil shapes. As shown below, there are 6 types of airfoils used for the various sections of the full blade. The placement of the airfoils is based on their shapes: NACA 64-618 is best for aerodynamics purposes, so it’s placed at the tip of the blade; whereas DU 99-W-405 is good for its structural capabilities, so it’s put at the base. The DU airfoils in between are arranged so that they smooth the transition between the tip and the root. 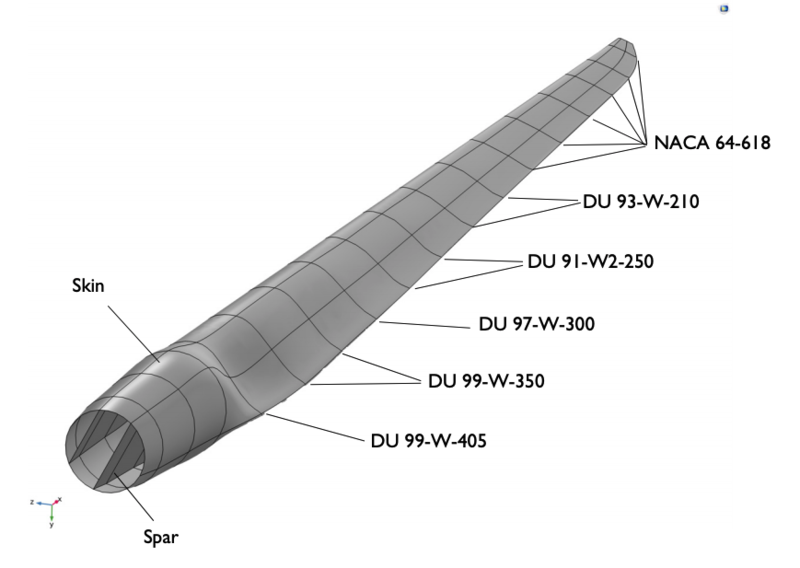 Geometry of the wind turbine blade with the different airfoil sections labeled. When setting up the loading and boundary conditions, it’s important to keep two parts of the blade in mind: the skin and the spars. The skin consists of the outer curved boundaries and carries the entire loading, while the spars are internal vertical members that reinforce the blade and increase bending and torsional stiffness. The model geometry showing the boundary conditions and loads acting on the blade structure with a fixed left end connected to the rotor hub. Left: The arrangement of the three materials, used in both the skin and spar of the blade. Right: The stacking sequence of the glass-vinylester laminate, showing the fiber orientation in each layer from bottom to top. By subjecting the blade to different loads (gravitational, centrifugal, and combined), you can take a look at the distribution of the von Mises stress in the skin and spars. Here, there are high stresses near the root of the blade as well as in the junction between the circular and airfoil cross sections. Von Mises stress distribution in the wind turbine design. After studying the stress distribution in the carbon-epoxy layer, you can examine the through-thickness variation of the stress for the three load cases at a particular point on the blade. 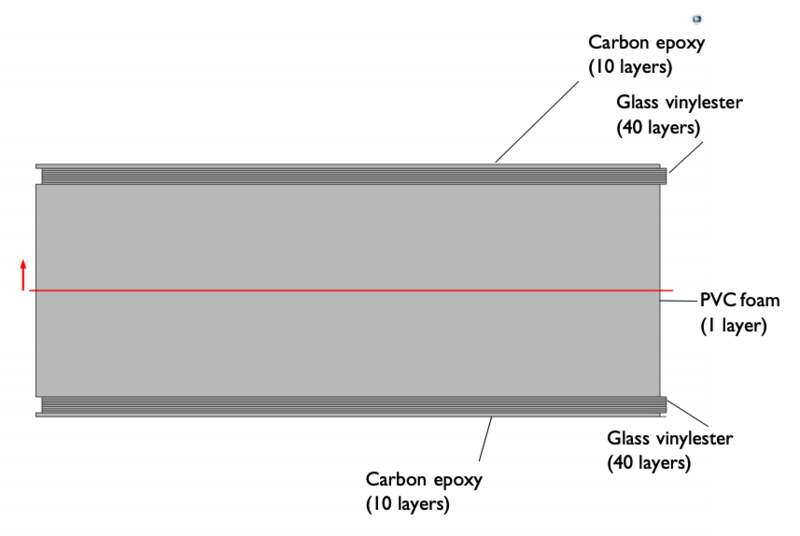 Here, the stress levels between the laminates and between the plies inside the different laminates vary, with the highest levels in the outer carbon-epoxy layer. 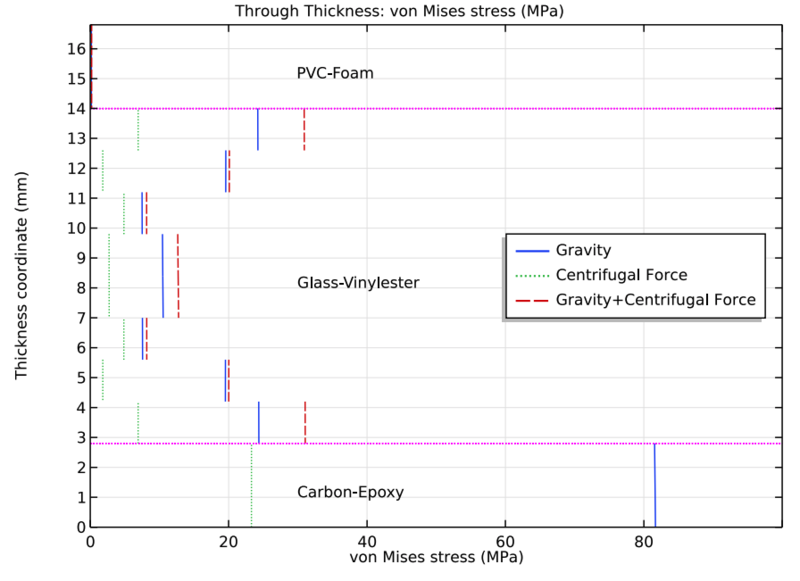 Through-thickness variation of von Mises stress for different load cases. 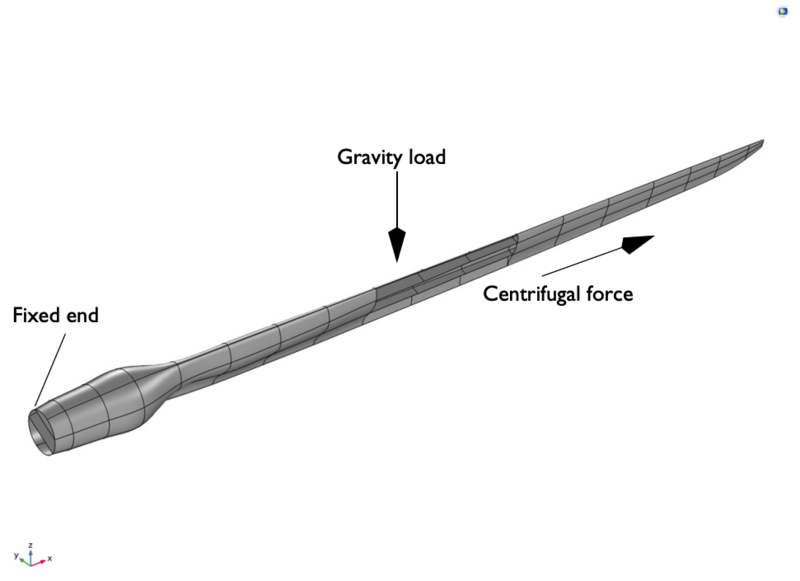 Moving on to the prestressed eigenfrequency analysis, you can gain insight into how the centrifugal forces affect the various mode shapes at different speeds. While not shown here, you can evaluate the eigenmode shapes of the blade for different speeds, seeing how higher speeds impact the concentrations of stress. It’s also possible to compare these shapes to the eigenmode shapes when the blade is not rotating, like the one in the image below. The third eigenmode shape of the blade. Finally, a Campbell plot shows how the blade’s rotation relates to the eigenfrequency variation. In this case, the centrifugal stiffening effect causes the eigenfrequencies to increase with the increase in blade RPM. 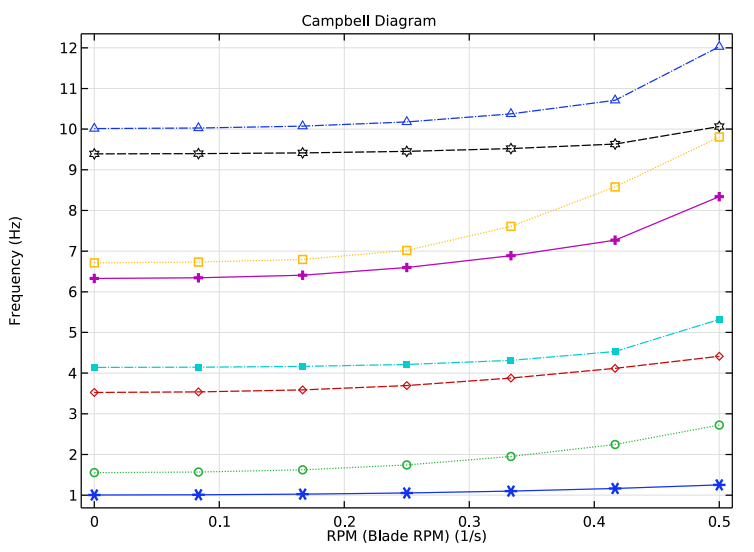 Campbell plot showing the variation of eigenfrequencies in relation to the blade RPM. 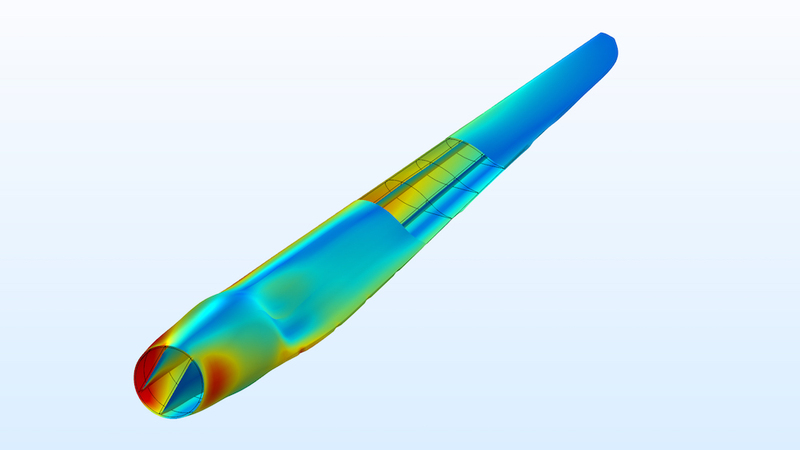 As demonstrated in this example, performing stress and modal analyses can help engineers account for different types of loads when optimizing the design of wind turbine blades. In addition, with the Composite Materials Module, they can easily stack layers that have different thicknesses, material properties, and fiber orientations as well as analyze these structures and modify the material types. Try it yourself: Download the wind turbine composite blade tutorial by clicking the button below. Doing so will take you to the Application Gallery, where you can find the documentation and MPH-file for this model.